Thanks to Noreen for schlepping me to the airport in the wee hours of the morning. I’m not home yet, posting from ORD. I got a window seat on the right side of the plane, on purpose, expressly for this (my favorite) view. Looking south, Mount Rainier is in the foreground. Mount Adams is to the left farther south. In between, even farther south and very hard to see, is Mount Hood. 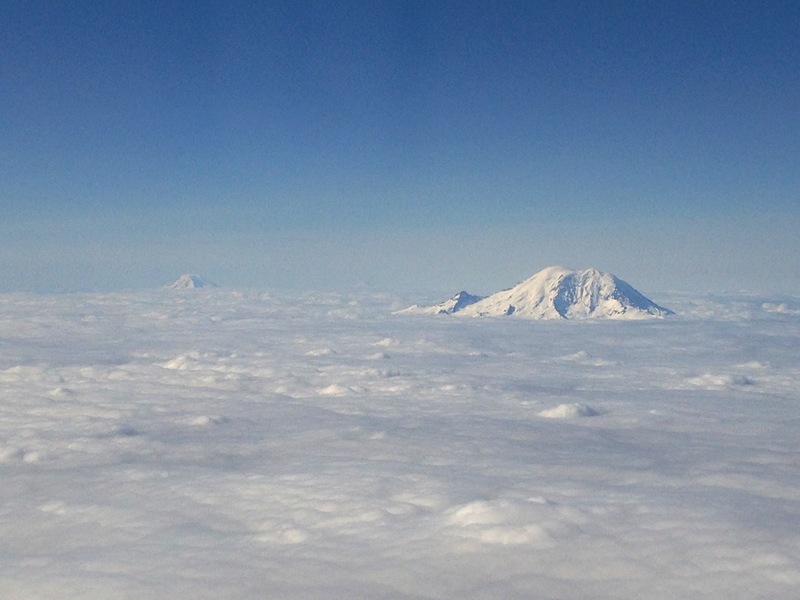 Mount St. Helens would be visible to the right of Rainier, except for the cloud deck sitting above it. Previous Previous post: Scenes from my Saturday. Next Next post: Mock – yeah. ing – yeah. bird – yeah.